It’s a reality for organisations in multiple sectors, from utility providers managing diverse workforces across wide geographical location, to transport organisations with a mobile fleet. Not only do individuals have to communicate with each other within those groups, but there are often requirements for a certain staff member or dispatcher to be able to broadcast a specific message to the entire group, or a group within the group. 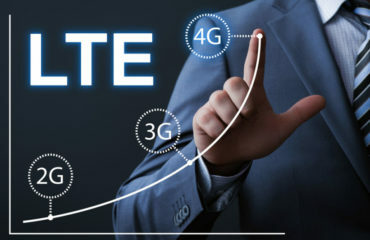 In these scenarios, Push-to-Talk-over-Cellular or PoC technology can be a suitable solution integrating users of cellular devices such as smartphone into an existing radio network. The starting point is a Digital Mobile Radio (DMR) communications network. For example, our Tier III Simoco Xd network with its cloud-based distributed architecture provides the perfect foundation for adding on PoC functionality. Once PoC technology is integrated across this network, every staff member connected to the system can speak to a member or members of their pre-defined group simply by pressing the Push-to-Talk (PTT) key on their device. This includes users of cellular devices such as Smartphone users who through the use of the Push app, can use their phones like portable radios to access the DMR network and participate in individual or group calls. PoC maintains a continuous active connection between users which means that callers do not need to dial numbers and receivers do not need to actively answer calls. Group communications are available at the push of a button saving massive amounts of time for cellular device users. 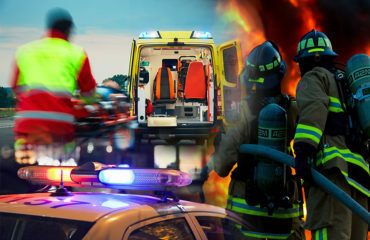 This is a hefty operational advantage for centralised staff members and dispatchers trying to manage dispersed workforces; and in the case of the emergency services, it can even save lives. On top of this, because PoC can be quickly implemented on existing cellular phones, it is a fast and very cost-effective solution to deploy. 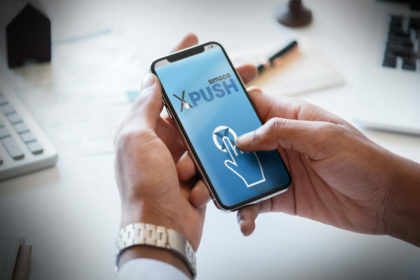 All you need is an existing radio network in place and additional users, who would otherwise have required a portable or mobile radio device, can connect to colleagues through Smartphones using the Push app. The result is a greatly expanded communications network beyond the coverage of the radio network and increases productivity, safety and other key aspects of an organisation’s operations. Simoco Wireless Solutions has developed its own, industry-leading PoC solution called Simoco Push. This can be integrated into any existing DMR network via an AIS gateway and is vendor agnostic. Simoco’s Push works with both Android and iOS devices adding cost-effective, secure and real-time Push-to-Talk functionality including location tracking. 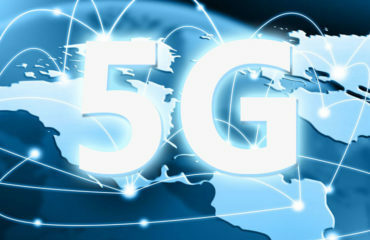 As long as there is wireless broadband network provision and your organisation has implemented Simoco’s Push app server, your staff can download the Push app from Google Play or Apple App Store and expand the DMR radio network coverage and capacity using cellular devices. It is an incredibly easy-to-use and cost-effective option for group communications so it is not surprising that organisations in a wide range of sectors have embraced PoC functionality. If you’d like to join these organisations by enhancing the coverage and capacity of your radio network or want to use the Push app on its own, get in touch with Simoco Wireless Solutions today by sending an email to info@simocowirelesssolutions.com.